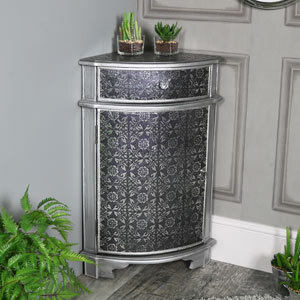 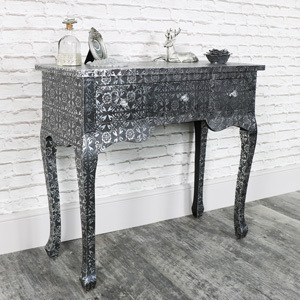 The Monique Range is a beautiful, vintage inspired selection of wooden furniture with a Moroccan inspired, bohemian style silver embossed finish. 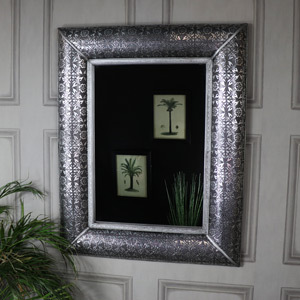 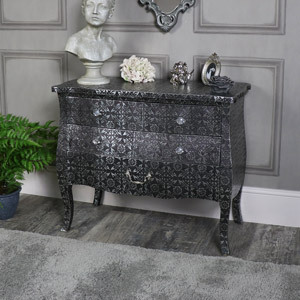 Items in the Monique Range some in a variety of styles, with some pieces having mirrored panelling to add to luxurious feel and others having a more simple design, preferring the embossed overplay to do the talking. 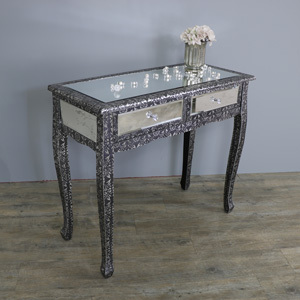 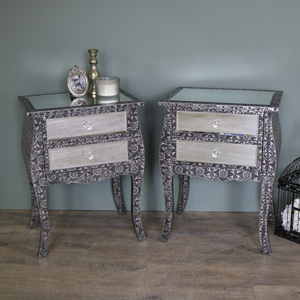 There is a wide selection of items available in the Monique Range including several different dressing table designs, an array of side tables and a selection of chest of drawers and tall boy units. 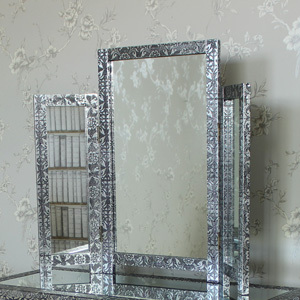 Each item in the Monique range included glamorous crystal style handles to add to the luxurious feel. 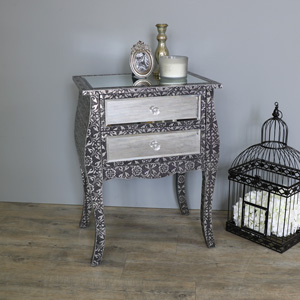 All Melody Maison furniture ranges are crafted with care and made from high quality materials.